On August 22, the fashion industry lost one of its leading ladies. 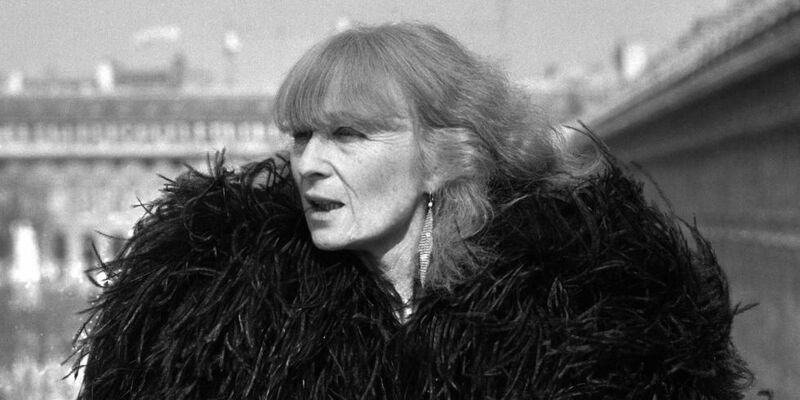 At the age of 86, fashion designer Sonia Rykiel lost her battle with Parkinsons disease. Today, we honor her memory with a look back at her life and legacy. Sonia Rykiel grew up in Paris. At the age of 17, she started work at a Parisian textile store, the Grande Maison de Blanc, where she dressed the window displays. Sonia began designing clothing during her second pregnancy. She wanted maternity wear that celebrated the bump, instead of hiding it from view with excess of fabric. Her passion for clothing design would last the rest of her life. The poor boy sweater wasn’t her only fitted design. Rykiel liked making figure-hugging pieces that made the wear look narrower, smaller. Her designs also had new elements to them, like exposed seams and raw ends. She made logo apparel a thing, emblazoning words like “mode” and “amour” on the front of her tops. During runway shows, Rykiel sent her models down in groups, talking and laughing and having fun. It was all about ease at Sonia Rykiel. In 1960, Rykiel sold her clothing in her husband’s store, Laura. In 1968, she opened her own boutique. She closed it for a while due to the ongoing Sorbonne student riots, but opened it again afterwards. In the 1970s, sales were rising and rising, and in 1980, Sonia Rykiel expanded from womenswear to accessories, menswear, children’s clothing and cosmetics. The French government awarded her the Legion d’Honneur award in 1996. In 2010, H&M collaborated with Rykiel for its annual capsule collection. It quickly sold out. 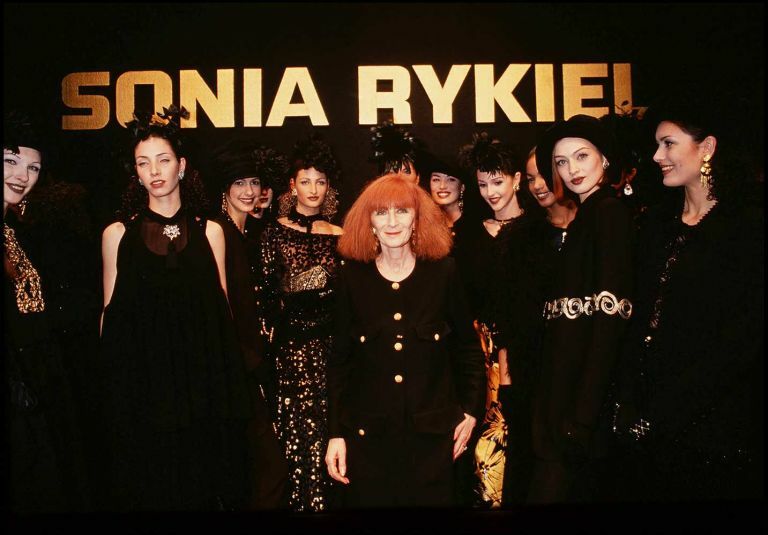 Sonia Rykiel will always be remembered for generations to come – not just for her eponymous label, but for her rebellious designs, her commitment to always wearing black (we love it), her love of breaking boundaries, and that fiery, bright orange hair. 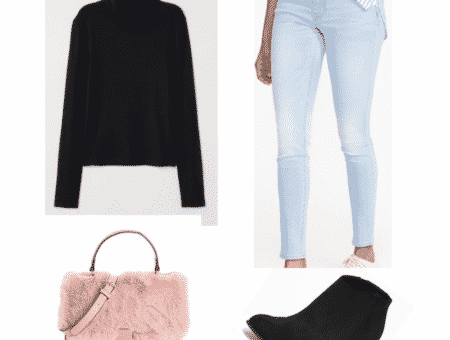 What do you think of Sonia Rykiel? Would you wear a piece of hers? Do you have suggestions for the next Designer Spotlight article? 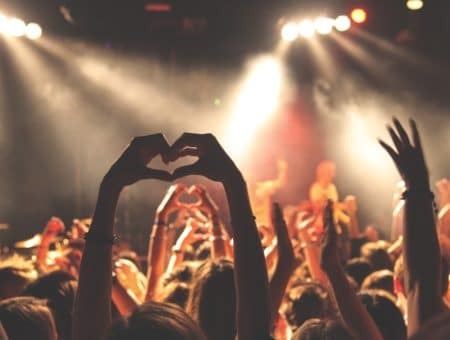 Which other designers would you love to see featured?